Part of the proposed improvements and theming to the park in Feb 1997 was the retheming of the Beach. 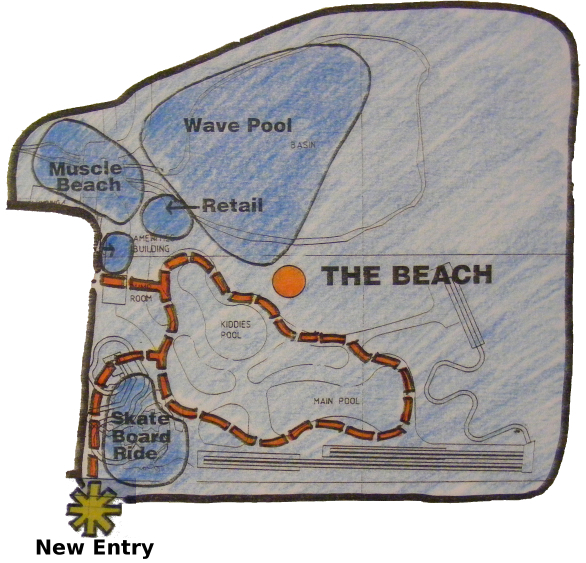 A new Wave Pool, Muscle Beach, Skate Board Ride and entrance where proposed. Mountain Casacde would be demolished to make way for the Skate Board Ride.